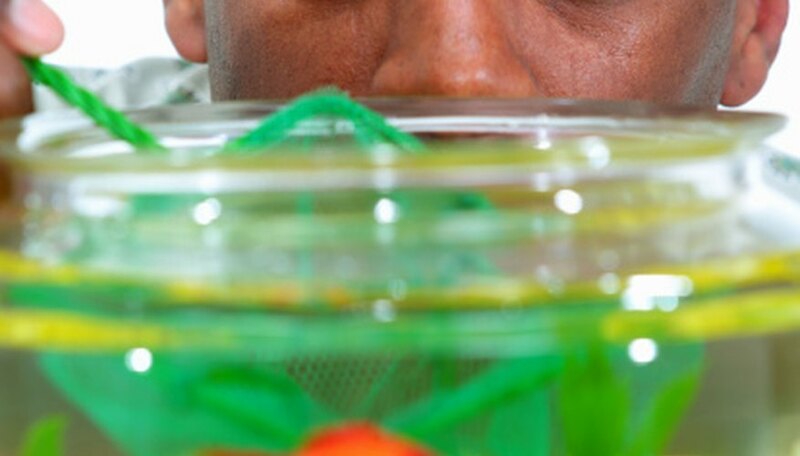 For the student interested in biology, science fair projects with fish heighten their interest in the life cycle and the effects of the environment on these aquatic creatures. Many projects are available for the kids to study the adaptations fish go through to exist in their environment, how our changing environment can change the fish’s health or to learn more about their subject’s anatomy and physiology. Test the effects of oxygen depletion on three goldfish subjects. To study the effects of the percentage of dissolved oxygen in water on the fish’s breathing rate, boil a gallon of tap water and allow it to come to room temperature. This process lowers the percentage of dissolved oxygen in the water. 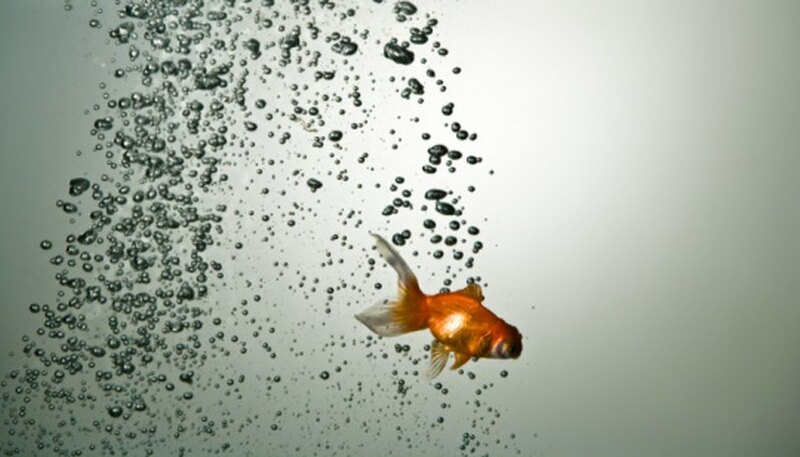 Pour the cooled water into a gallon-sized fish bowl and place a healthy goldfish in the water. For one minute, count the number of times the fish pushed water through its gills. Place the second fish in normal oxygenated water that has been allowed to sit out for an hour or two. Repeat your count of how often the fish pushed water over its gills. Repeat these two experiments on two more fish. This study should show fish in non-oxygenated water breathe more times per minute than fish in oxygenated water. Like counting a tree trunk’s rings for age determination, your student can determine a fish’s age by counting the rings on its scales. Ask the employee behind your supermarket’s fish counter if they will give you a few of the scales from their commercially-available fish. 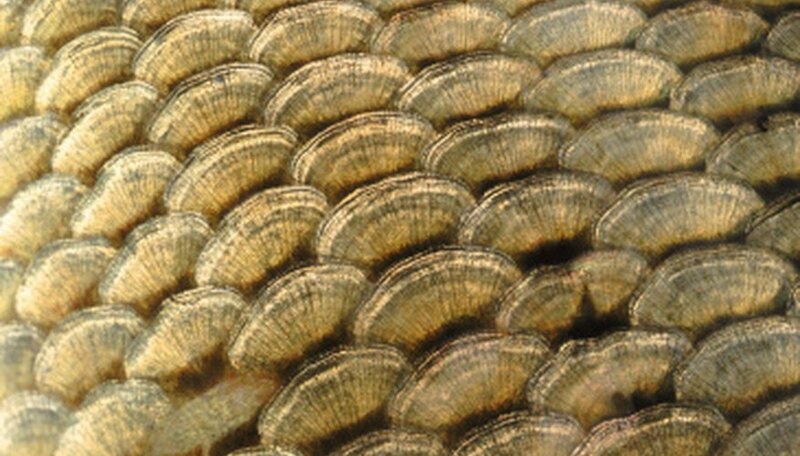 Place four individual fish scales on a piece of black construction paper. With a handheld magnifying lens, study each scale, counting the number of light-colored, wide bands on each. Each wide ring shows one-year of fish growth. The wide bands are produced during warm months when food is plentiful and their growth is rapid. Darker and narrower bands are produced in winter months when less food is available and growth is slower. 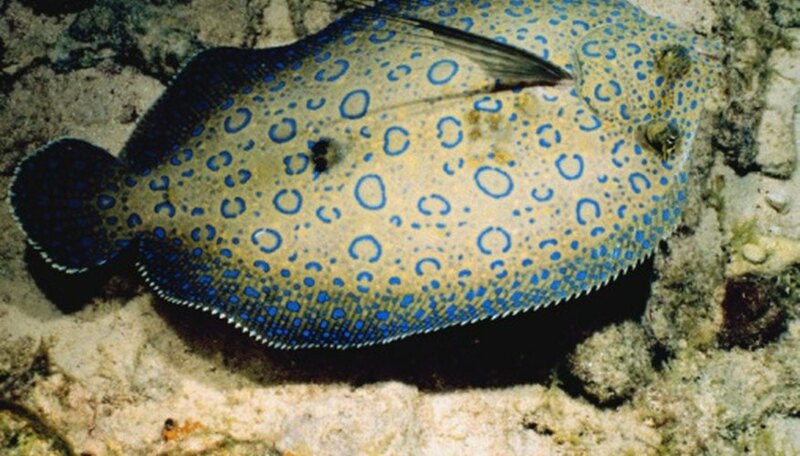 Study the flatfish’s adaption to life on the ocean floor by creating a clay model to represent this saltwater fish. Shape a lemon-sized portion of modeling clay into a rough simulation of a flatfish with a rounded middle and pointed nose and small, fanned tail. Place the model on a piece of paper on your table’s surface. Insert one pinto bean on each side of your fish’s head to symbolize its eyes. Photograph your model. Place the right eye on top of the fish’s head, lean the body to the left about 25 degrees and flatten slightly. Photograph this stage. Finally, flatten the body completely and move the right eye closer to the left. Photograph your adapted fish. In a gallon-sized fish bowl with de-chlorinated, room temperature water, lay two inches of rinsed gravel, add plants, one adult guppy and one snail. Make and record daily observations for 28 days. After 28 days, add one male and one female guppy and record daily observations. Alter this experiment by sealing off the top of the aquarium on day eight. Record a third set of observations and compare to the first two experiments. Based in eastern Virginia, Cathy Welch began writing nonfiction articles and novels in 1996. She wrote a short story that appears in John Maxwell’s “Everyone Communicates, Few Connect.” She writes reviews and nonfiction for Longridge Writer’s Group. Welch holds a Bachelor of Science in business administration from Christopher Newport University with a concentration in management. Welch, Cathy. "Science Fair Project Ideas With Fish." Sciencing, https://sciencing.com/science-fair-project-ideas-fish-8008713.html. 25 April 2017.